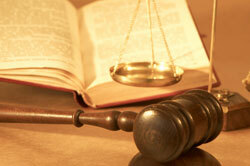 We are dedicated to the vindication of the rights of our clients who have been injured in an accident. We aggressively pursue the maximum financial award possible for our clients. We strive to return to our clients the loss of dignity and respect that can often be as devastating as the physical injury suffered. Our areas of specialization include automobile accidents, defective products, slip and fall accidents, dog bites, construction accidents, wrongful death, lead poisoning, mold, and landlord negligence.